Off leash play is one of the best ways your dog can get exercise, mental stimulation and socialization. 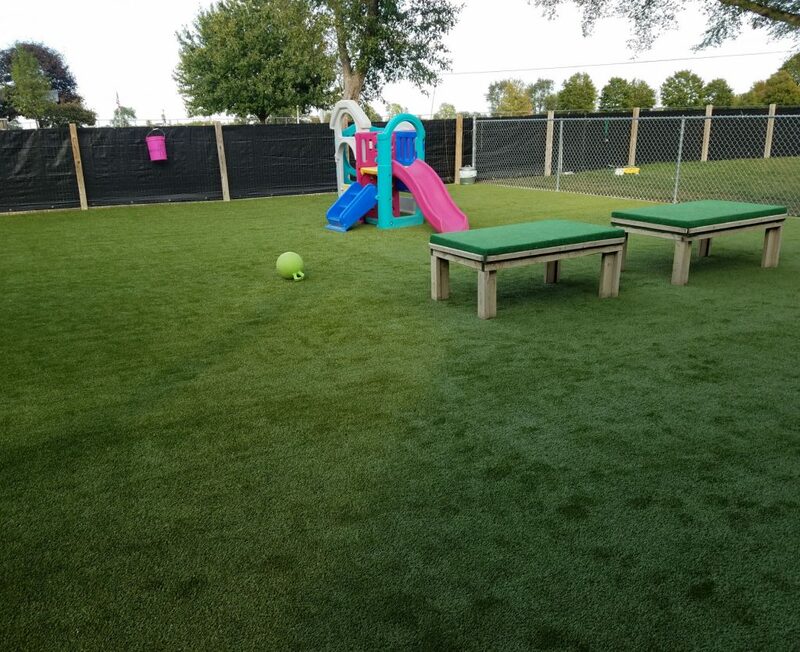 At Doggie Day Care, your fur baby will have hours of playtime and attention while socializing with other dogs. Your dog will learn how to appropriately play and behave in a low-stress environment. 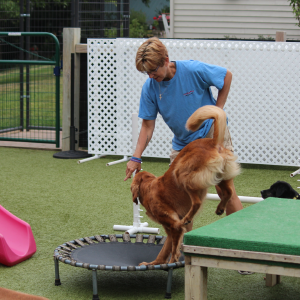 Our indoor facility and outdoor playground are fun places for dogs of all sizes. 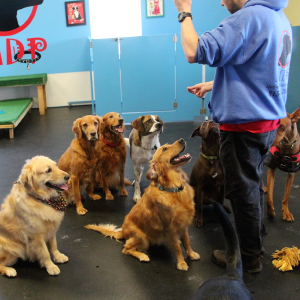 Socialization in a safe environment is crucial for dogs. 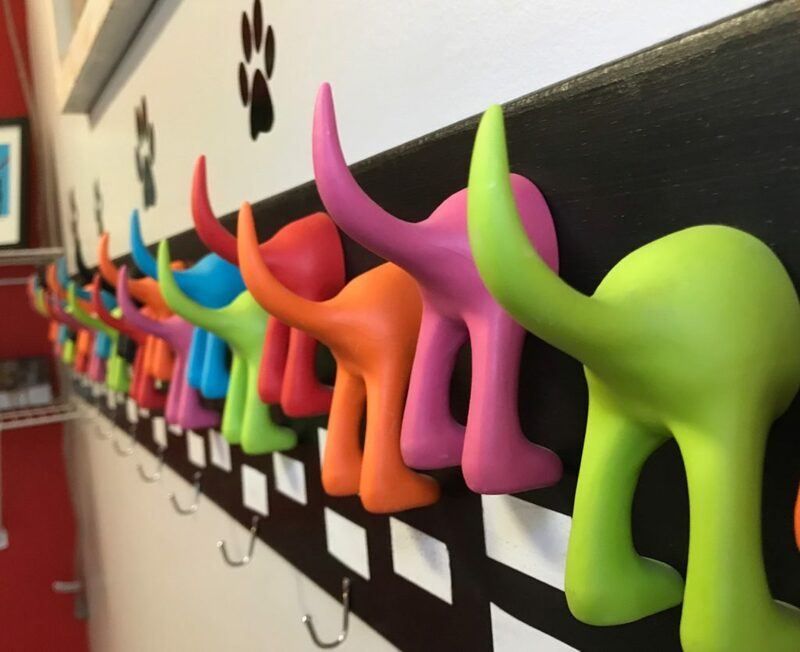 Think of Doggie Day Care like preschool for your toddler. It gets them ready for new situations and keeps them comfortable with new dogs, people and environments. 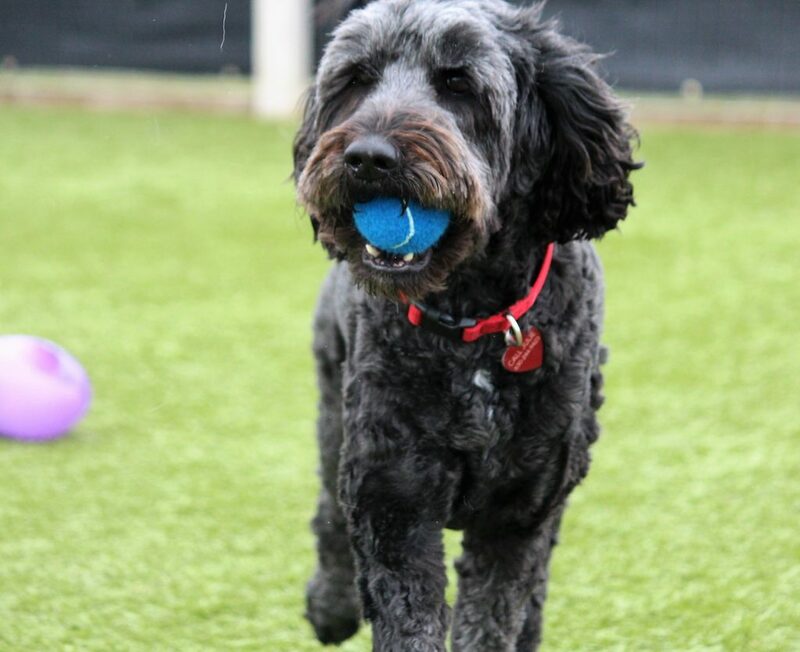 Our goal here at Mid-Day Play is to create a self-confident, emotionally stable and TIRED dog! It also allows dogs to experience less separation anxiety. 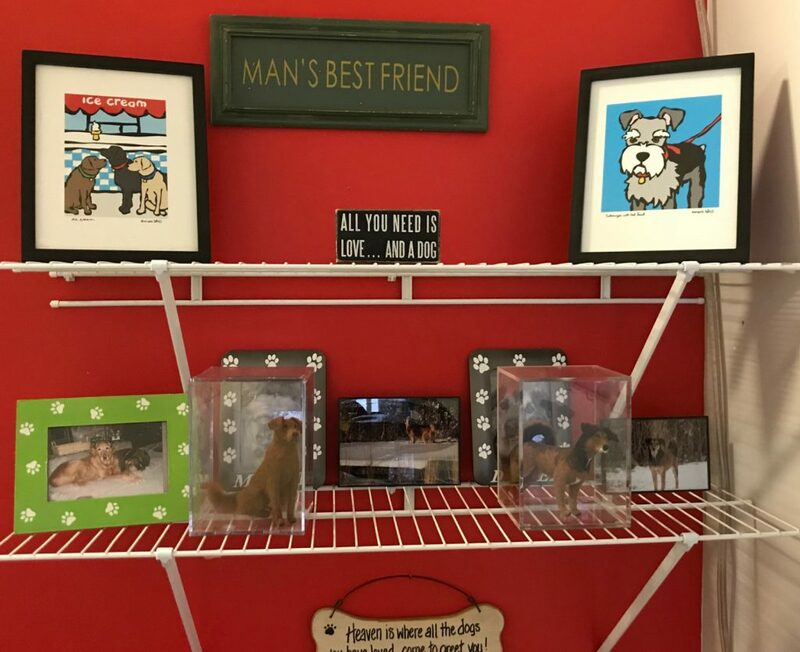 Each Mid-Day Play Day Care staff member is trained and educated on reading dog body language and to keep our dog safe and happy in their play groups. 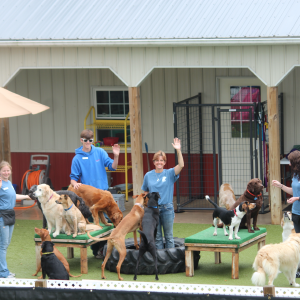 We work hard to find the perfect group for your dog! Groups are based on breed and size so no dog feels intimated, challenged or overpowered. Four to five months old is an ideal age for dogs to begin day care. 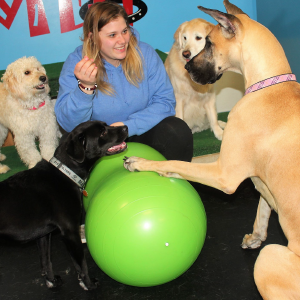 Not all dogs are playful upon entering our Doggie Day Care program. As long as they are not fearful or hesitant, dogs can become more comfortable, confident and playful. We take each dog’s safety and comfort to heart. At Mid-Day Play, we require a Meet-and-Greet for all new day care dogs. 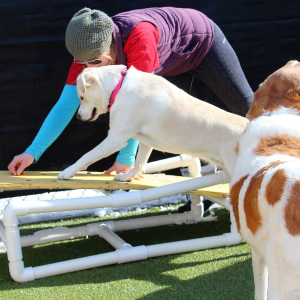 We give each dog a thorough behavior assessment to make sure they are not fearful and show no signs of aggression. 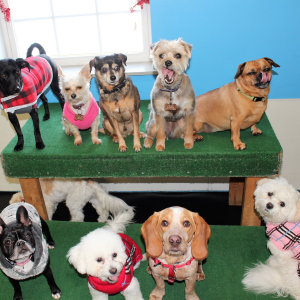 Does your dog need a ride to Day Care at Mid-Day Play? Mid-Day Play Taxi Service is available for clients in Sandwich and Somonauk.